Alta’s Denver office is expanding! Supported by additional planning and engineering staff, our Denver office is working with communities throughout the Front Range and Western Region on active transportation projects. These range from citywide master plans to documentation of site specific improvements, and include the Westminster Multi-Modal Action Plan, Pitkin Low-Stress Bikeway, Lamar Loop Multiuse Trail, and Jefferson County Regional Bikeways Wayfinding Guide. We are excited by the experience and expanded capabilities our new staff bring to these projects and look forward to continued collaboration with communities throughout Colorado on initiatives to enhance and encourage active transportation. 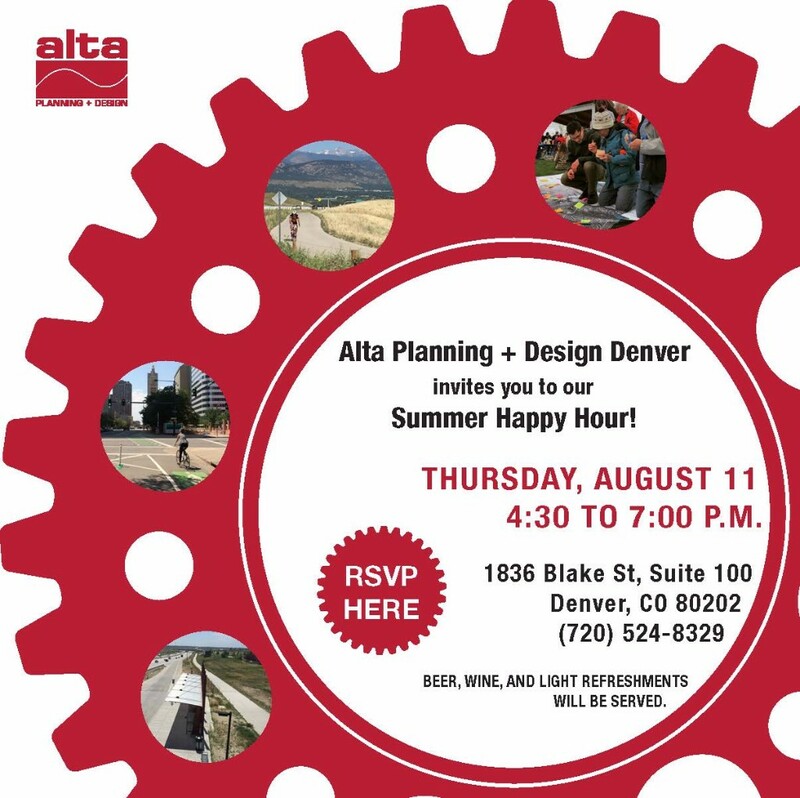 Please join us Thursday, August 11 for a Happy Hour! Please RSVP by clicking this link or the image above!